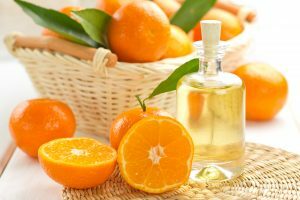 Home | Blog | Skin Care Blog | Using Oil on your skin – Here’s the low down! Using Oil on your skin – Here’s the low down! They are good for your skin. I promise. I hear all sorts of thing about using oils on your skin, especially your face, from “they block your pores” to ” they leave a greasy residue” to “oils are bad for your skin”. I want to dispel these myths and tell you to embrace oils! They are good for your skin. I promise. I’ve put together a few questions and answers that I hope will help you understand better how oils on the skin work. What is the difference between a mineral oil and a plant oil? Skin Care products can contain mineral oils or plant oils or both. A mineral oil is petroleum based and does not absorb into the skin because its molecular structure does not allow it. Instead it forms a barrier on the skin that keeps water locked in. The oil itself does not add any moisture to the skin as it can’t absorb. A plant oil is obviously from plants and unlike mineral oil, it can absorb into the skin. Some plant oils will have higher absorption abilities due to smaller molecules in the oil that allows them to penetrate the skin. Plant oils will also keep water locked in as the water can’t escape through the oil. 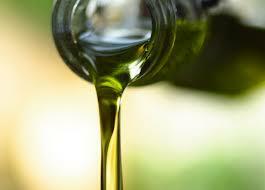 Plant oil differs to mineral oil however in that it does add moisture to the skin. This is extremely useful as it helps protect the skin against the signs of ageing. It helps to plump the skin up and smooth out fine lines. Every skincare routine should include a Facial Oil, especially the over 30’s. Holos Skincare uses plant oils in all of our products. Is coconut oil good for the facial skin? It depends on what you want from coconut oil and how you use it, and in what form. 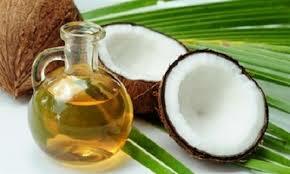 When you buy coconut oil in a jar, that is solidified, you are buying coconut oil in its most natural state. It will have its coconut aroma and will melt when you touch it. However this form is not very highly absorbable so won’t penetrate the skin to lock in moisture or add plumpness to it. It will however be useful as a cleansing oil or an oil mask that will be removed. To use coconut oil as a moisturising oil, it needs to be fractionated. That means the element that causes the oil to solidify is removed making it more readily absorbable for use on the facial skin. We use this form of coconut oil in Holos Skincare so that you get the most from the oil and it adds vitamins, minerals and essential fatty acids to the skin as it can absorb. Should we use the same plants oils on the face as on the body? No. As the skin on the face is thinner, and more prone to the signs of ageing (this is because it is uncovered and open to the elements at all times), it needs more absorbable oils than those used on the body. Also people don’t generally want to have a thick oil on the face that takes a long time to absorb. 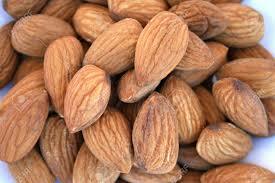 Oils such as sweet almond oil, grapeseed oil and olive oil are too thick for the face but are perfect for the body. 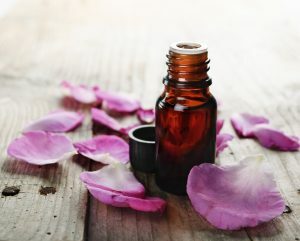 They are excellent carrier oils to massage essential oils into the body for absorption into the skin. They are fine to use on the face if they are used as cleansing oils or masks. The best oils for adding moisture to the face are Argan and Rosehip. They absorb quickly adding vitamins, minerals, essential fatty acids and antioxidants to the skin, giving it a natural plumpness. Holos Love Your Skin Anti-ageing facial oil is made with Argan Oil and we’ll have some lovely new products that contain rosehip coming soon. Should people with oily skin avoid using oil on their face? No. Everyone should use oil on their face as we lose oil in our skin as it ages and we need to replace it to maintain good skin health. There are certain oils however that you should avoid if you have oily skin. Mineral oils won’t absorb and will sit on the skin. They can block pores so need to be avoided by those with oily skin or large open pores. Thicker oils like sweet almond and olive oil should also be avoided unless being removed straight away (perhaps if you are using the oil as a cleansing oil) as these too can sit on the skin and block pores. However Argan oil is perfect for oily skin and will absorb and in fact help balance out the oil levels in the skin.